The fabulous and sassy Paula K has kindly let me write a guest post on her wonderful site here whilst she is recovering from her latest op. All the best for a speedy recovery Paula! If you have a house where toddlers reside then you are probably familiar with the ‘Great Vegetable Debate’. This rather monotonous and tiring debate is an almost nightly occurrence in my home since my 3yo returned home from pre-school a few months back and announced he did “not like vegetables anymore” and harbours an even stronger dislike for all things “green” – ie broccoli, spinach, peas, beans… you get my drift! I have tried all manner of crafty, cunning ways to hide or disguise vegies in his food but, like a trained sniffer dog, he can detect broccolini from 20 paces. Grab your peeler and when you have peeled your carrot keep on peeling – peel strips of carrot, peel strips of zucchini, peel strips of capsicum. Cut your onion and mushrooms as finely as you can – the Tupperware Happy Chopper is brilliant for this. Chop up the broccoli into tiny little “trees”. Throw some crushed garlic into a hot wok along with your onion. Add chicken and cook through. Throw in the rest of the veg with a splash of water and put the lid on your wok for a few minutes. Add soy sauce and honey to taste. If you like your stir fry a bit saucier (hey, who doesn’t!?) throw in a bit of OJ. Lastly add the soft noodles and in minutes you are ready to serve up the most colourful plate of noodles you’ll ever see! NB: I add a little chilli and some cashew nuts for my husband and I after I have served up the small boys dinner – it’s delicious. I hope it is as big a success at your dinner table! What secrets do you have to get more of the “good stuff” into our children? Michelle of blog site, Australian Mothers Online, is a happily-married mother of two wonderful boys, ages 3 & 1, and is filled with inspiration now that she has kicked off her great site site and is able to mesh her love for her children, her love for writing and her experiences in finance and parenting to hopefully create something interesting at least… brilliant at best! 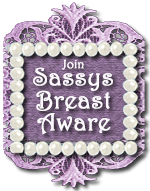 Michelle is valued member of our 'sassy 16' at sassymamas, where women of influence, blogfuence & momfluence, blog & play! Please 'drop in' on Michelle's site & thank her in comments for Guest Posting whilst I am in hospital!